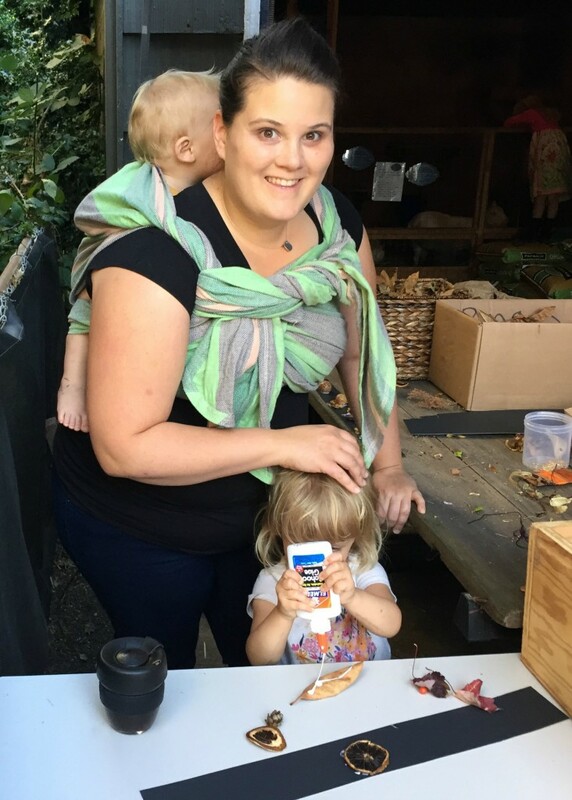 Babywearing is a bit of an obsession of mine, so much so that I became a certified educator. I have tested out 30-40 (maybe more) carriers over the past 3 years and I have loved some, liked a lot and had only a few that where meh. These are a few of my favorites that I think would be perfect to gift this holiday season. For the parents-to-be: The Solly Baby Wrap. 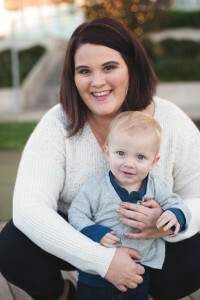 I am incredibly picky when it comes to stretchy type wraps because they often aren’t incredibly user friendly, have too much stretch and are encouraged to be worn past the point of comfort for the wearer and proper positioning for the baby. 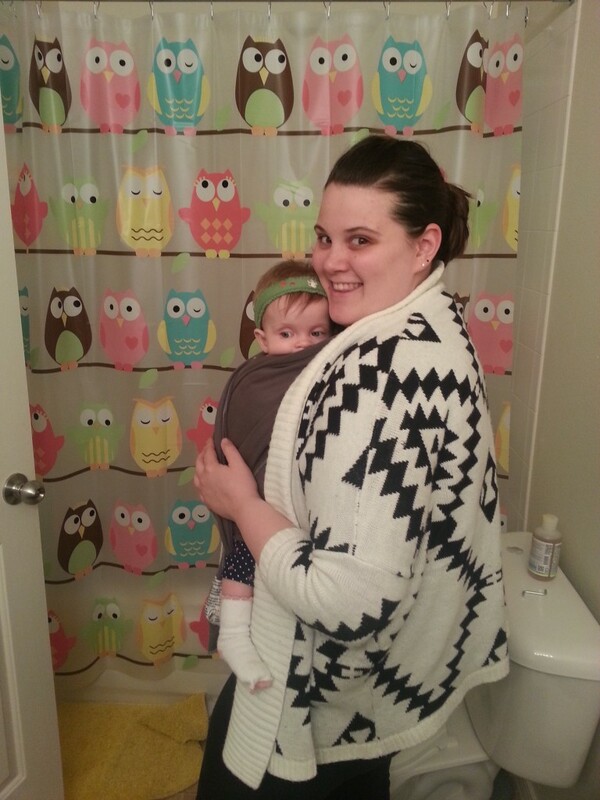 The Solly Baby Wrap however is a really wonderful stretchy style wrap. The material is light, yet supportive. It has stretch without being too stretchy and it is super soft. 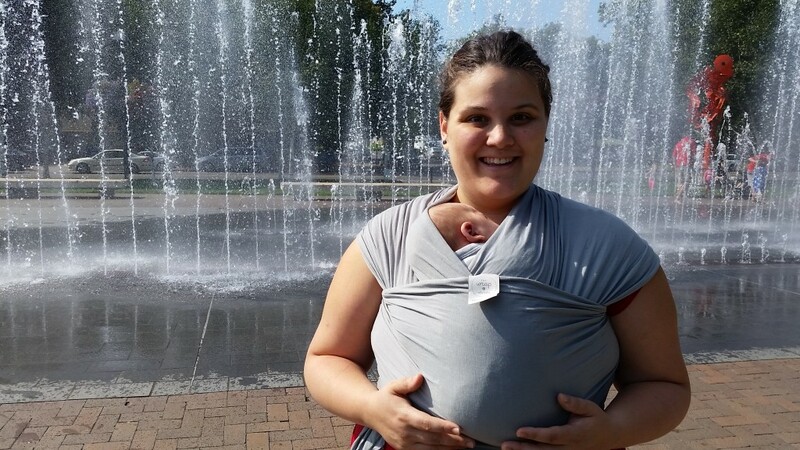 I suggest this for parents to be simply because the ideal time to wear this is when the baby is newer because while you can wear it for quite awhile like any stretchy wrap 15lbs is when you start to notice a difference in the way it feels. That being said Alder is newly 16-months and 20lbs and I can still wear him comfortably for 15-20 minute time spans. For the new babywearing fanatic: Baby-Doo USA. 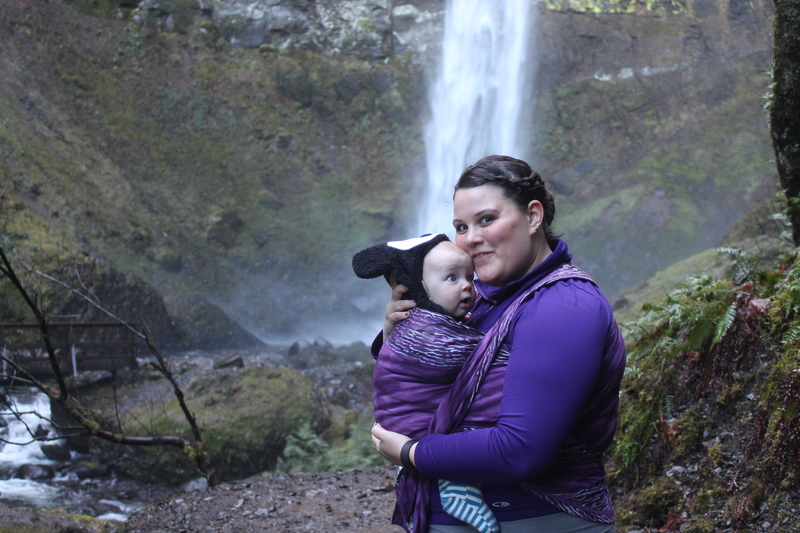 I knew my babywearing love had become an obsession when I found myself searching high and low for a great woven wrap. I don’t know what it is about woven wraps that make them intimidating but they can be especially with the wide range of options and price points. That being said I have found the perfect woven wrap for most any budget. The woven wraps from Baby-Doo USA are high-quality, beautiful wraps that are also affordable ranging from $70-90. I have been wearing both Edith and Alder in ours over the past few months and I love it. I wear them on the both front and back comfortable and wrap with ease. While this wrap is perfect for a babywearing fanatic it is also perfect for any parent from brand new to parents of toddlers; a woven wrap is perfect from newborn through toddlerhood. 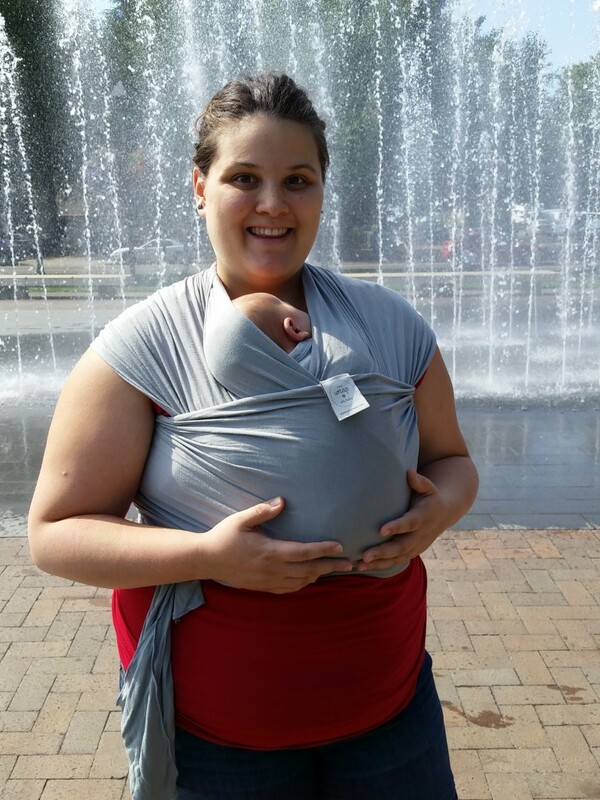 For the new parents: Lily and Mama Market Ring Sling. 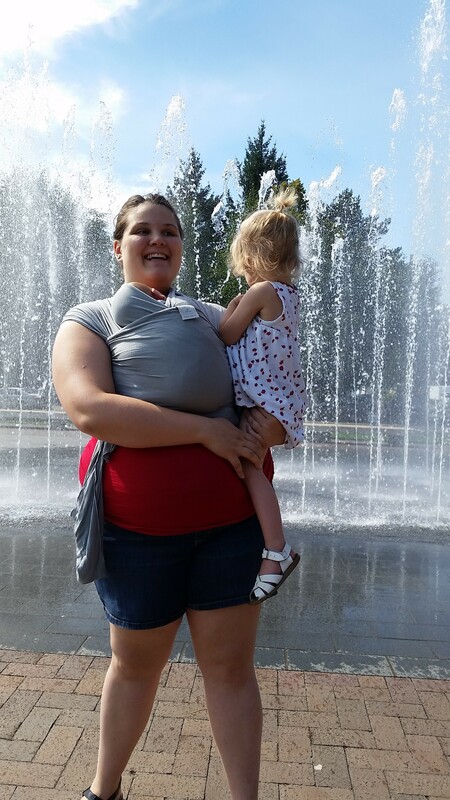 When it comes to carriers my top recommendation is a ring sling. It is perfect for a newborn because it is secure and supportive, it is comfortable for the wearer and it’s great through toddlerhood because you can wear your tot on you hip and it’s easy to take on and off. 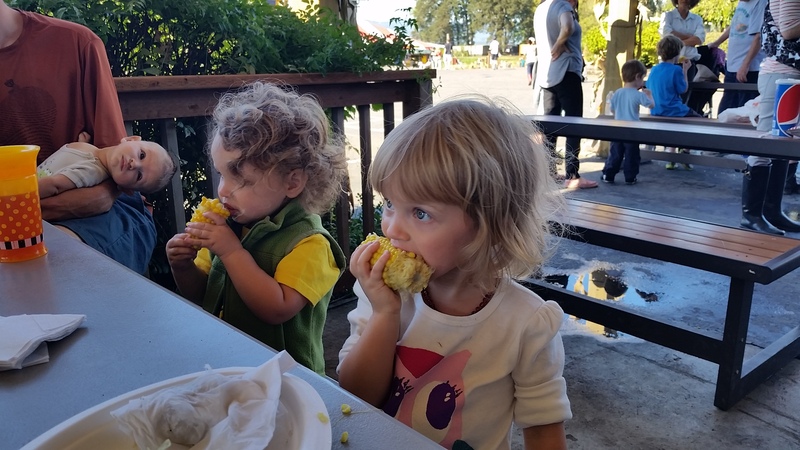 I found Lily and Mama from Ruthy’s blog, Discovery Street over a year ago. I finally got the opportunity to try one of these beautiful ring slings out myself this Fall and I fell in love. The quality is excellent, the fabric is soft and the fit is great. There are a lot of great ring slings out there so it’s hard to pick just one but I am just so loving this one right now. 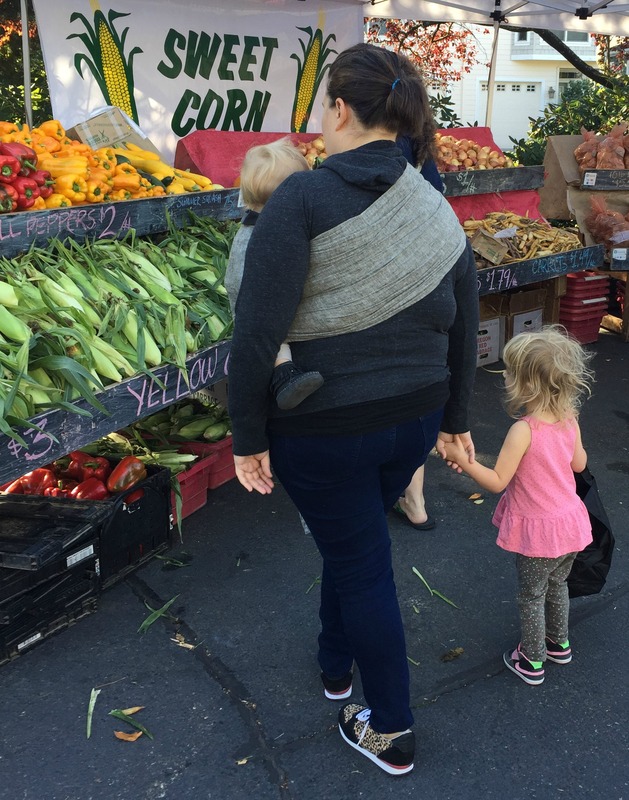 For the parents of toddlers: Eventually your toddler will out grow your standard sized soft structured carrier and your stretchy wrap. 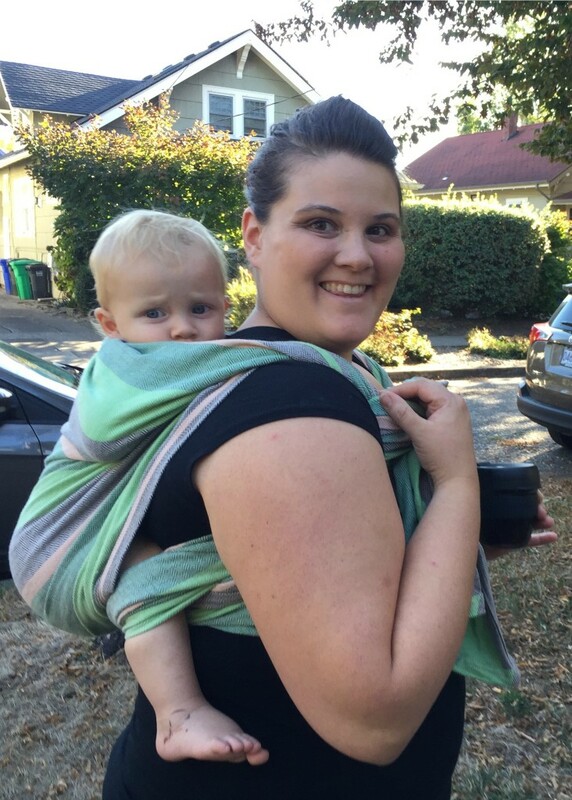 Ring slings are still great but often once babies hit toddlerhood back carries become the go to carry and ring slings are not as ideal for back carries. 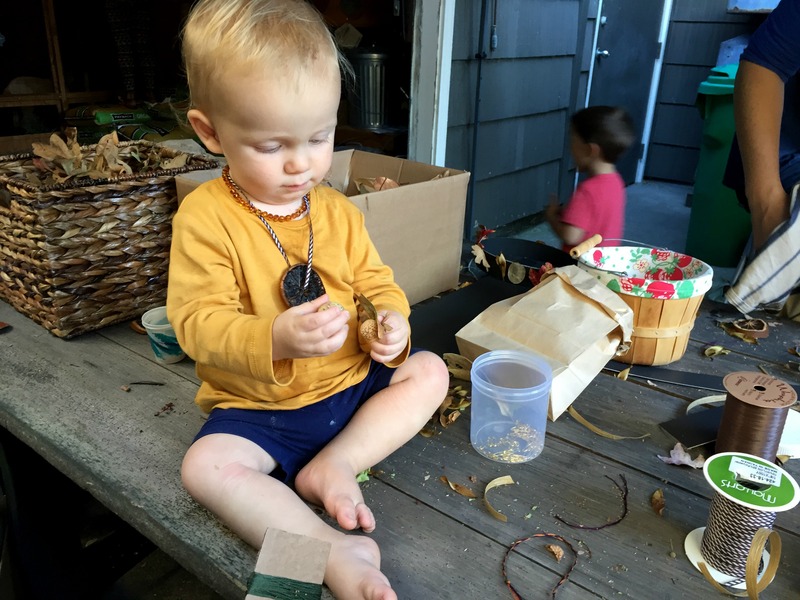 Woven wraps are still useful but toddlers are also all about the up and down which isn’t as easy in a woven wrap. That’s when a toddler size soft structured carrier comes into play and my favorite is the one by TULA. The fit is great, the comfort level for both the tot and wearer is excellent and there are so many great prints as well. While it is an investment I do think they are worth all the hype. We love to wear ours on strolls around town, nature walks, travel and hikes. 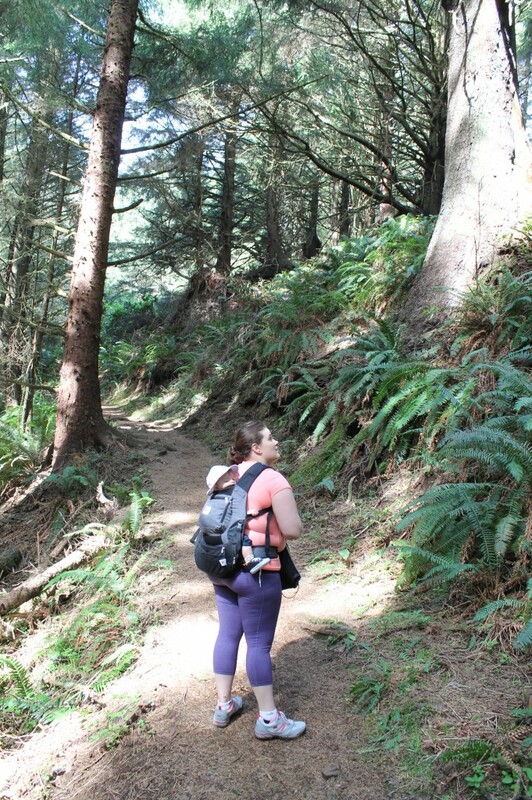 For the avid hikers: We love to get out and hike and we finally decided to get a hiking pack. I personally don’t love hiking packs because many don’t have a great seat in them and honestly I was anti-pack until it became more of a necessity. We were looking at bags that we could wear while we hiked and nothing seemed to work so we started to seriously look into pack type carriers with a backpack included as well as other storage compartments. After long debate we decided that Deuter had the best carriers for seat, storage and comfort for wearer. 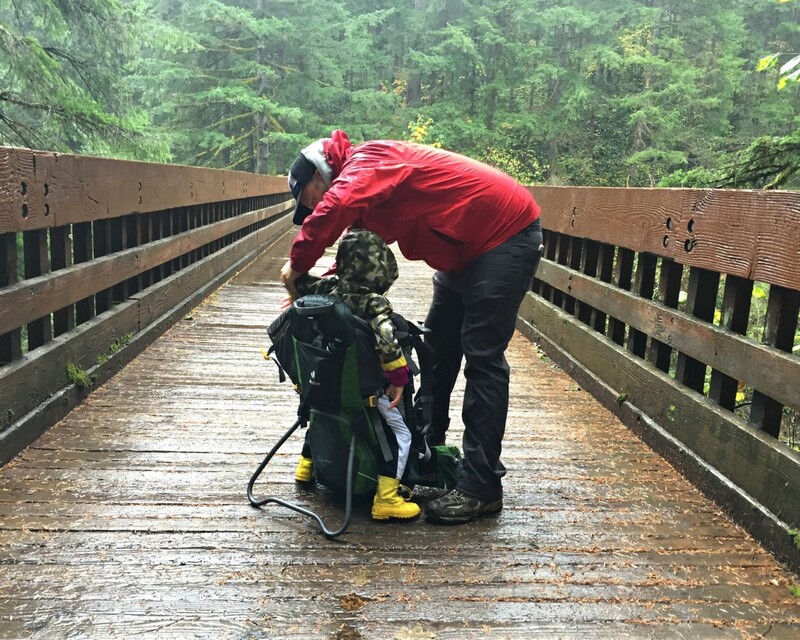 We used our REI member sale discount and invest in a pack and it has been a great decision. 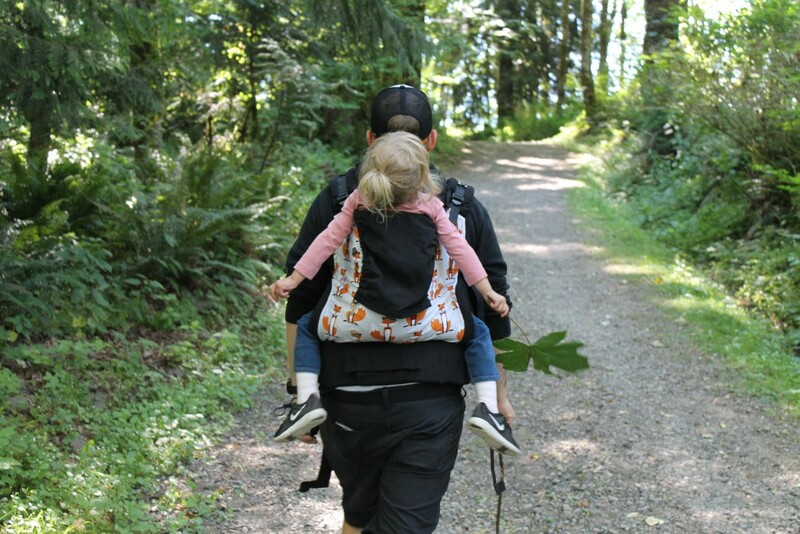 Edith is obsessed with the pack, it makes hikes so much easier and there is the added benefit that we will be able to use with the Alder one day as well. 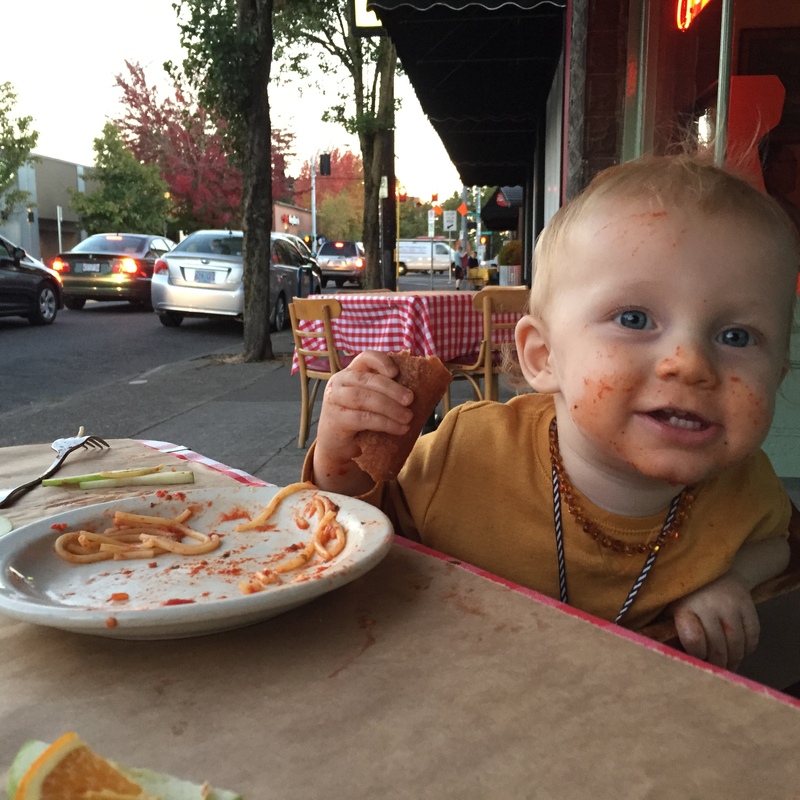 One of the things that most appealed to us about our new neighborhood is the walkability. Three to four evenings out of the week we eat dinner and then make our way outside for a family walk. 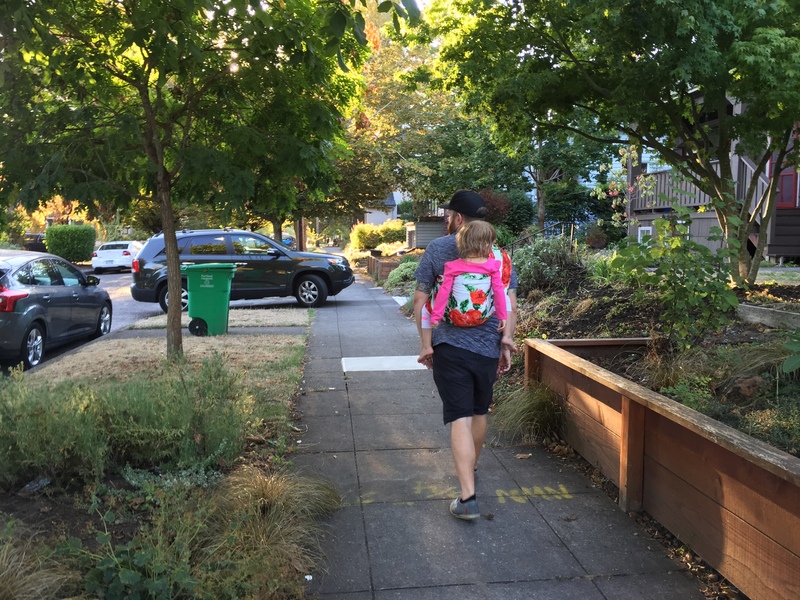 We stroll through the neighborhood stopping to check out plants and chat with neighbors. We often walk just for the pleasure of getting outside together and other times we stop into the local grocery store to pick up a kombucha or a treat. If we are feeling particularly crazy we head down for a scoop of vegan coconut milk ice cream. Whether we walk to a particular place or just head out for a stroll we really love soaking up the family time together. Sometimes the kids like to talk or ride their bikes but most nights they snuggle up in a carrier and I have to say that is my favorite time because there is nothing better than baby/toddler-wearing especially at the end of the day. 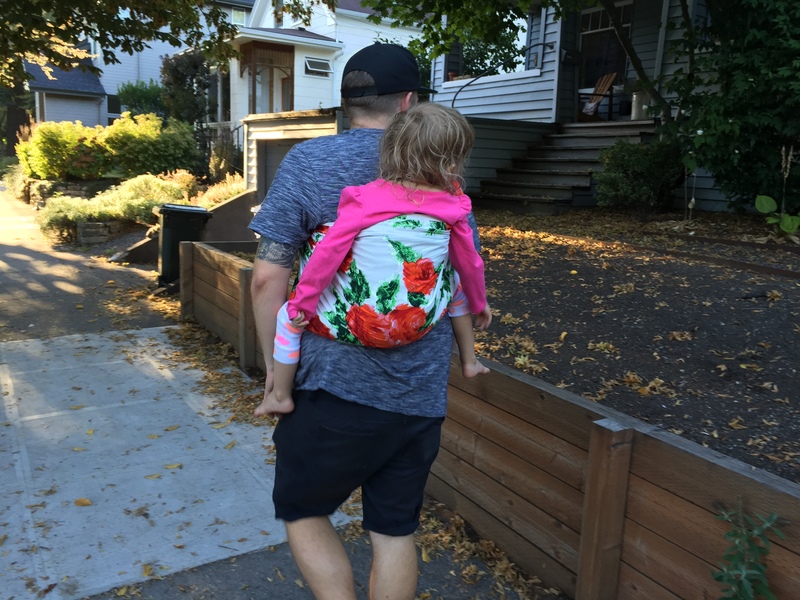 Lately we have been rockin’ this beautiful floral Rockin’ Baby Sling on our (almost) nightly walks. I have to say that this print while floral makes swoon when my hubby wears it. I mean I think he looks pretty great in floral. 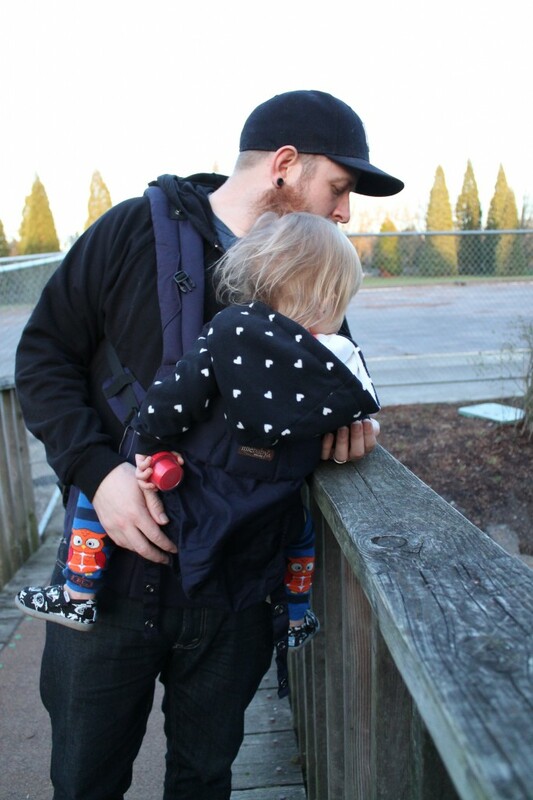 I have to say this sling is one of my favorites for back carry and Edith loves riding in it on the back as well. The fabric is super soft, and the sling is just beautifully made. 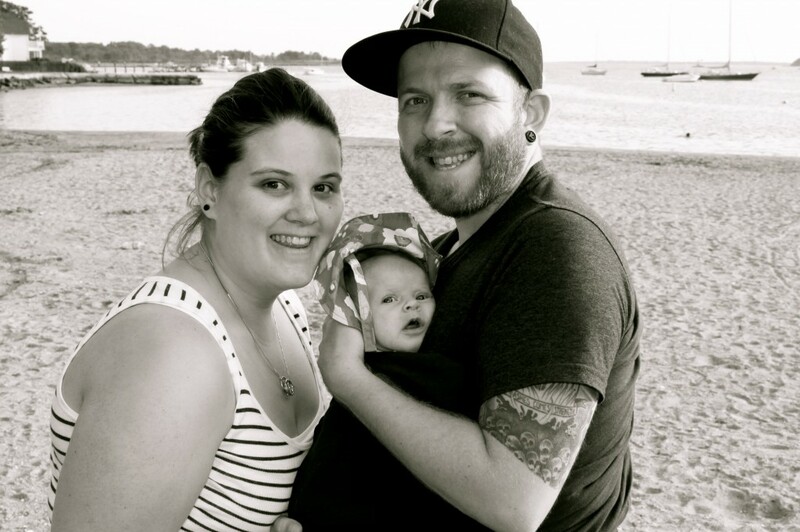 Both kids feel safe, secure and supported all things I personally look for in a carrier. I also love that it has an extra little pocket for my keys and some cash. Another reason I love Rockin’ Baby is because for every sling you buy one is also donated to a mother in need in Hati or Kenya. I mean how can you not love a company that allows you to give back with every purchase. A beautiful sling for you and a beautiful sling for another mama. 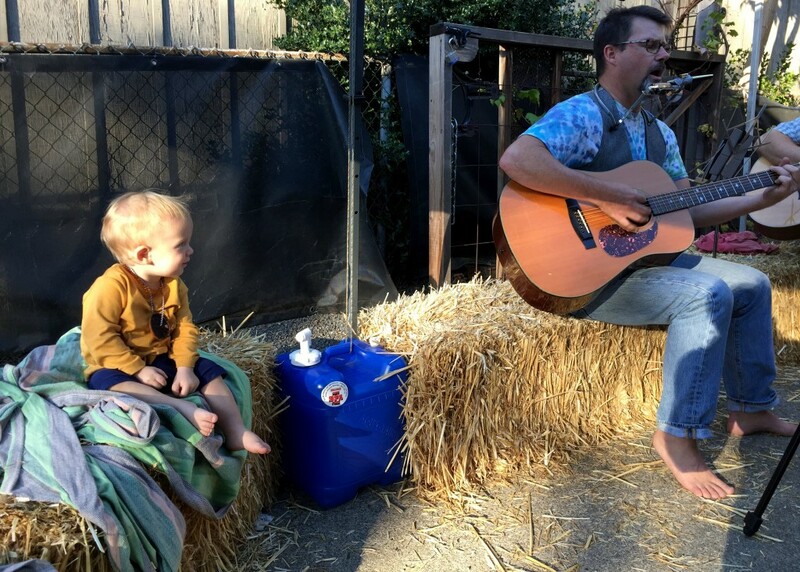 Thank you Rockin’ Baby for making this post possible! Do you have a nightly tradition? How do you unwind at the end of the day? The newest addition to our wrap collection is the Wrapsody Stretch-Hybrid in the beautiful color/pattern Aphrodite. 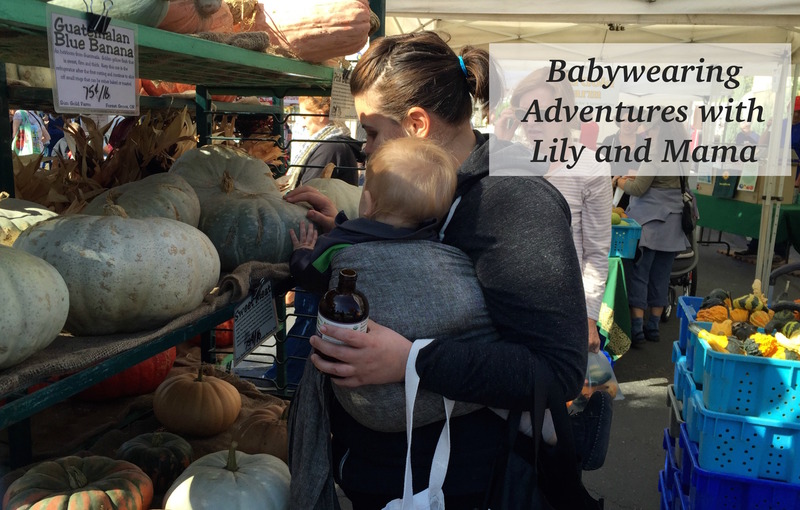 As you all know babywearing is a big part of our lives and I have quite the diverse collection of carriers. I actually just had to de-stash some of my carriers because I was feeling a bit overwhelmed and many of the ones we bought when we were first pregnant with Edith just aren’t ones that we use at all anymore. 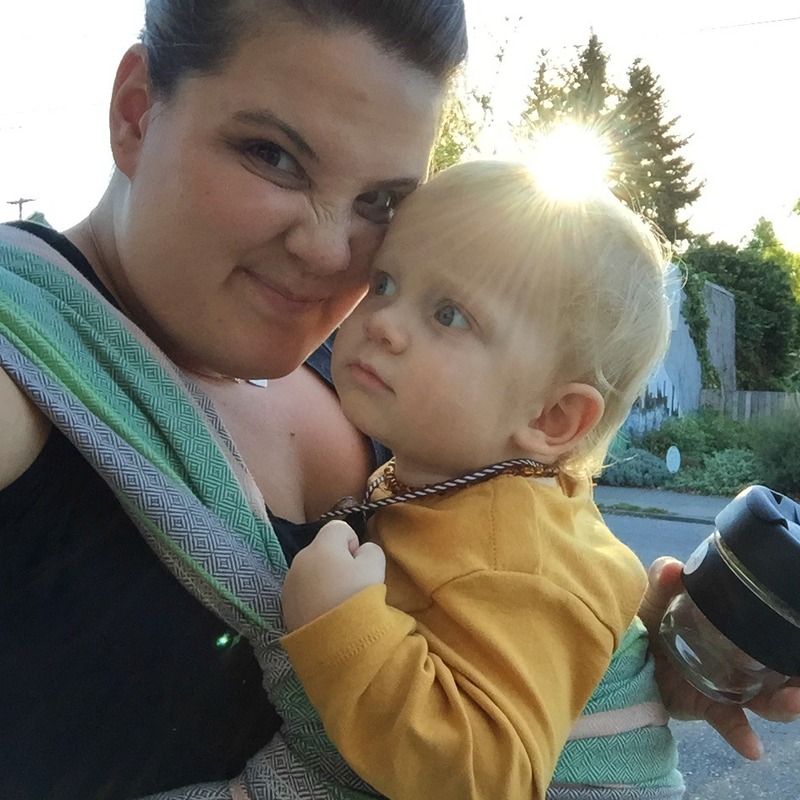 Anyways since becoming a babywearing educator I have really gotten more interested in wrapping and while I prefer woven wraps I know that there are those out there who love their stretch wraps so I have been on the lookout for the best stretchy wrap options. This stretch-hybrid wrap is super soft, light weight and supportive. 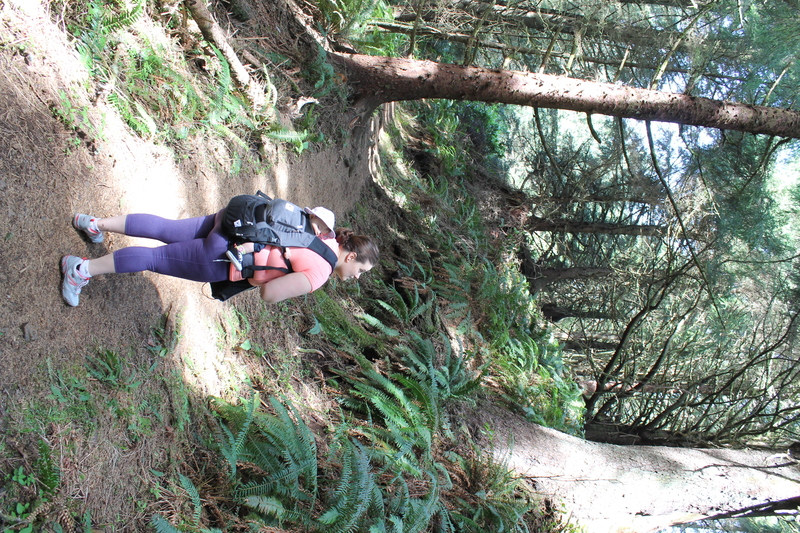 I recently wore it on a hike and Alder and I faired well with carrier. I did find that when he moved around, well basically tried to fling himself backwards out of it at one point because we wanted to nurse and we hadn’t arrived to a spot for me to easily stop and nurse, that it did start to loosen a bit but otherwise it worked well. One of the major things that is different about this carrier versus a stretchy carrier is that you can safely wear your baby on your back. The wrap has a bit of stretch but is secure enough for you to get baby in a proper and secure seated position on your back. The only major con for me for back carries is that the wrap is a bit too long for my preferred back carries. Despite the length of the wrap being a bit long for me I do find that I am able to get both Edith and Alder in secure carries that last for a long time without losing positioning. Overall I really like this wrap and it is one that I have come to use on a regular basis. There are a few cons that I have listed below but nothing that would deter me from recommending this wrap. Check out my pros and cons to see what I thought of this wrap. Stretch-Hyrid giving you the softness of a stretchy wrap with more of the secureness of a woven. Supports children up to 35lbs – you can use it with your newborn or your toddler! Comes in a variety of colors – I love the Aprhrodite and the Hammy. Great tutorial videos – although I do have one con about these (see below). Length. This is my number one con because I just find it to be a bit too long for me. I wish like the Wrapsody Breeze that this one came in sizes. The tutorial videos are great and really show you a variety of ways to wear your babies but I find that they are a bit rushed. While there are a variety of colors in the wraps I’d love to see some solid colors. Getting out of the house with two kids can be quite the production. We have to get two kids in the car, make sure the diaper bag is fully stocked (95% of the time it isn’t) and then, when we finally make it to our destination (usually at least 10 minutes later than planned), we have to figure out who is going to walk, ride or be worn. 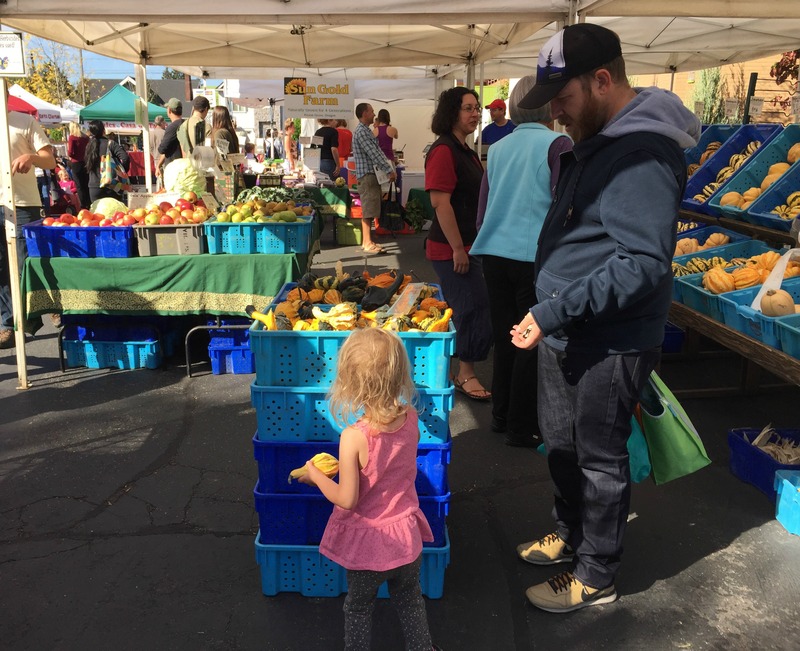 We are still slowly getting out of the house beyond the grocery store and Target and this weekend we took a break from unpacking to head to the market. I honestly was not feeling the trip to the market at all. We had headed out right when it usually starts to get busy and it was hot and nap time was slowly sneaking up on us, but, we did it. When we arrived I noticed we only had the Solly Baby Wrap in the car so right away that meant I was on baby duty. Neil can wrap but it usually takes a little talking through and help so it was just easier for me to do it and for him to be on tot duty. I wrapped Alder up snuggly on the Solly Baby Wrap and he fussed for just a moment before falling asleep. 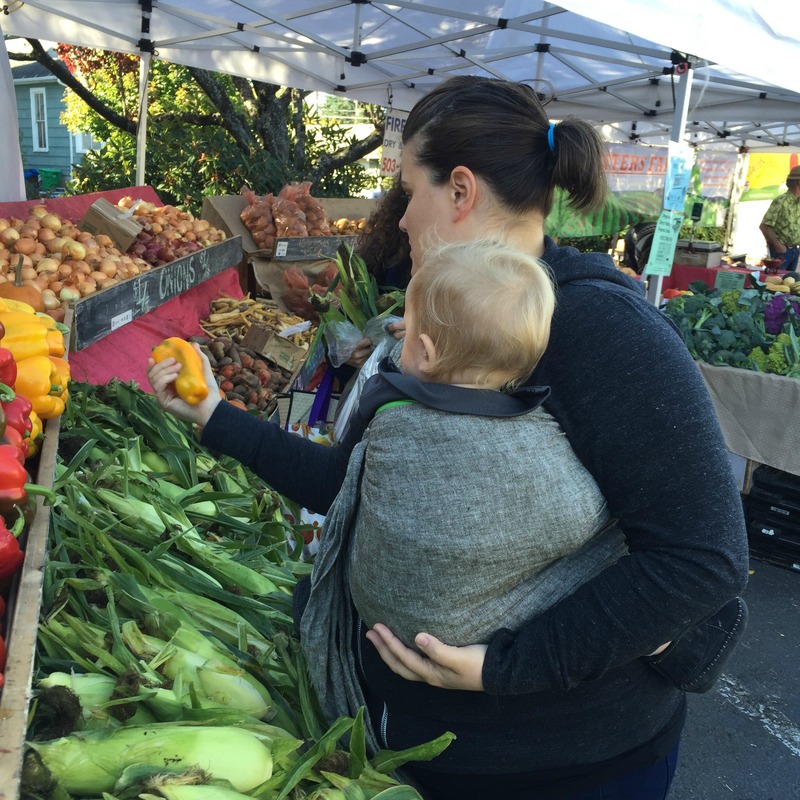 We walked over to the market and I had my hands free to carry market bags and hold one of Edith’s hands. 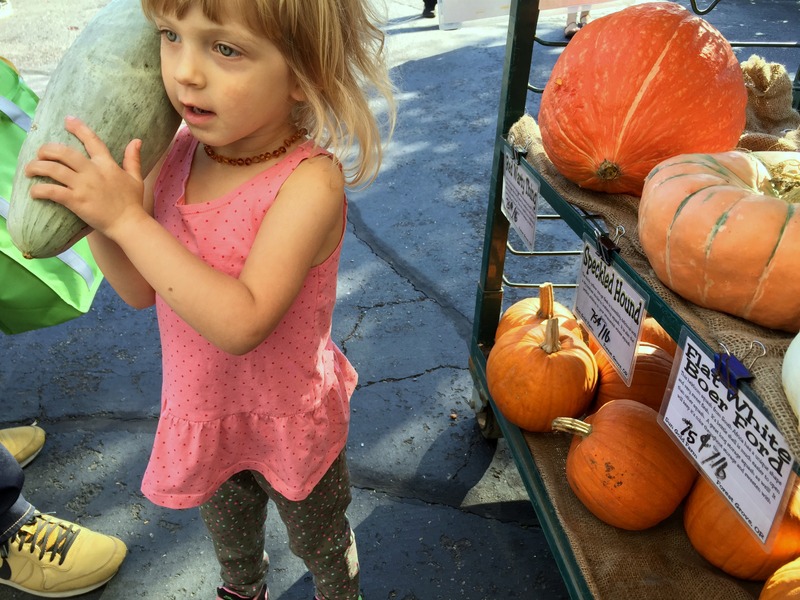 We headed straight to my favorite farm stand to pick up our produce for the week. I was so excited by all the beautiful produce that I started to fill our bags and then realized that we had no cash. Neil said he would run to the ATM, which was luckily not too far away, while I continued to shop – the catch though was that Edith had to stay with me. If Alder had been in the stroller or in my arms there would have been no way that I could have held the half filled bags of produce and chased a very curious toddler around but thanks to babywearing we made it work. After finally purchasing our produce we walked around the remainder of the market, picking up a drink and a treat on our way out. We stopped over by the beautiful water fountain to enjoy our drink and snack before heading back to the car. The best part? Alder was still sleeping. 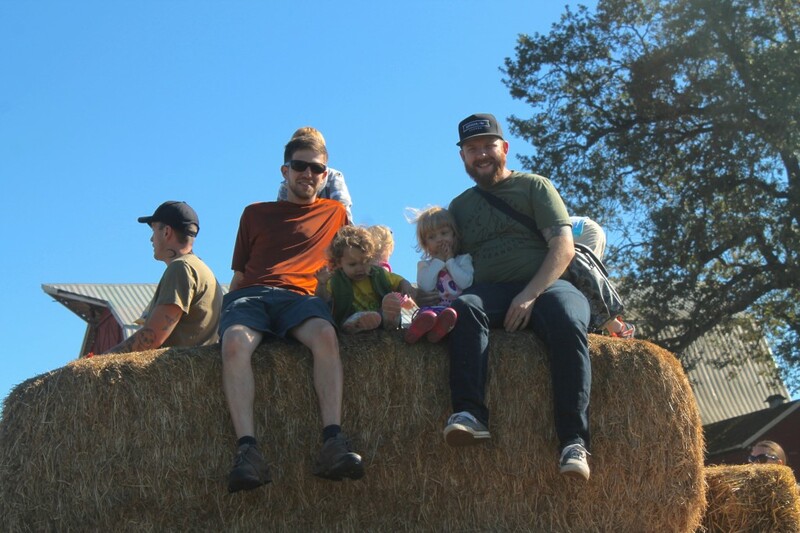 Also we had no toddler tantrums, I was able to purchase 90% of the produce I had on my shopping list and we got to enjoy the market and sunshine as as family. The worst part? I dropped my shopping list so I had to go home and rewrite it and head out again to pick up our grocery items. Disclaimer: We were provided the líllébaby COMPLETE at no cost from the company. We were not required to write a review and no further compensation was provided for doing so. As always all opinions are our own. I’d like to welcome the líllébaby COMPLETE to our babywearing rotation! 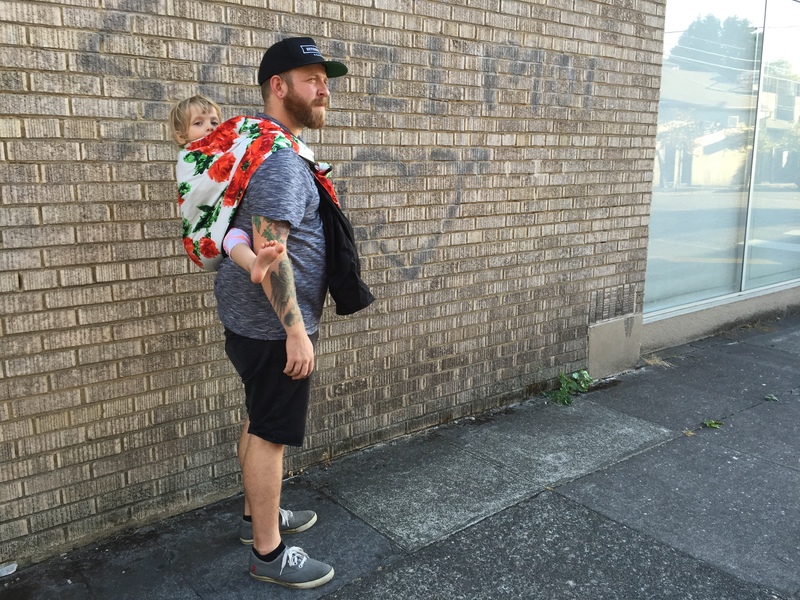 We have been using this carrier for a few months now and are absolutely in love with it. 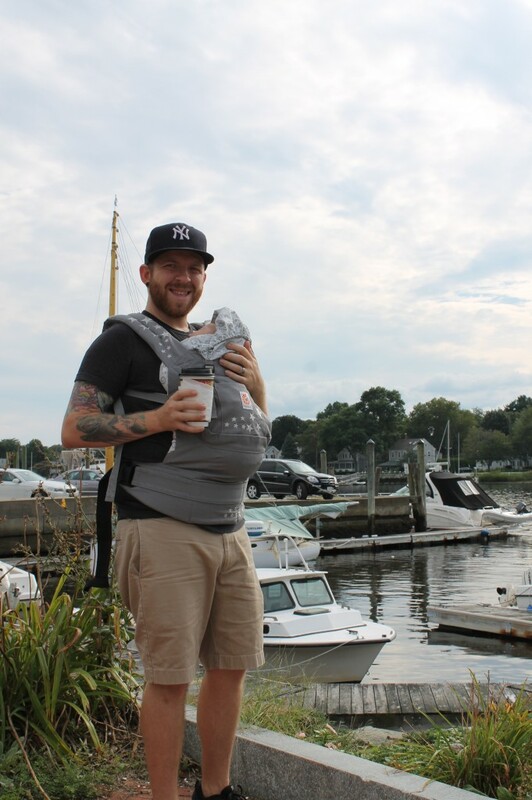 While I haven’t been doing as much babywearing lately due to my growing bump, Neil has been thrilled with the líllébaby COMPLETE. It currently tops Neil’s top three favorite carriers list. 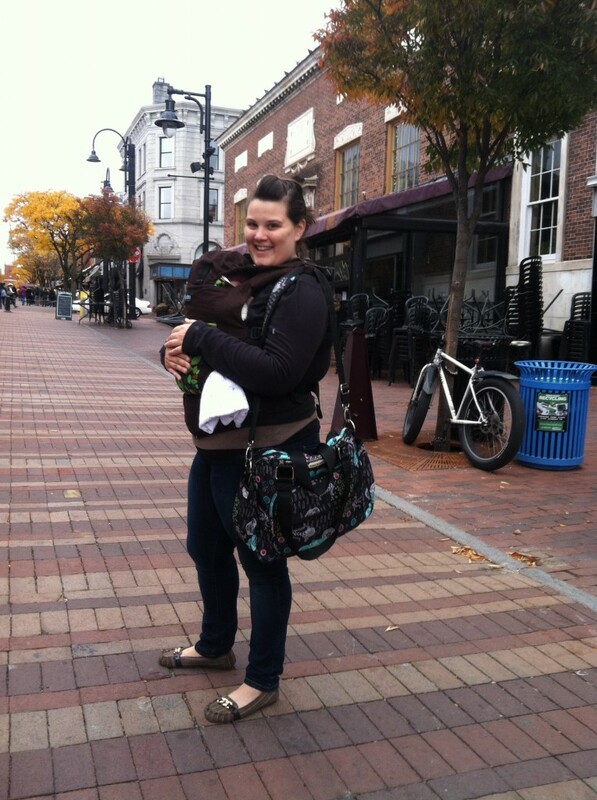 When we first received the líllébaby COMPLETE I was newly pregnant and still wearing Edith in a front carry. Unfortunately, my growing bump and changing body isn’t allowing me to wear Edith as often. I can still do back carries but it’s much more challenging to do so without assistance so I haven’t used this as much but I can’t wait for baby #2 to arrive so I can wear both Edith and B#2. Since we have only used this carrier with our toddler I’m going to focus on toddler wearing rather than focus on a smaller baby. 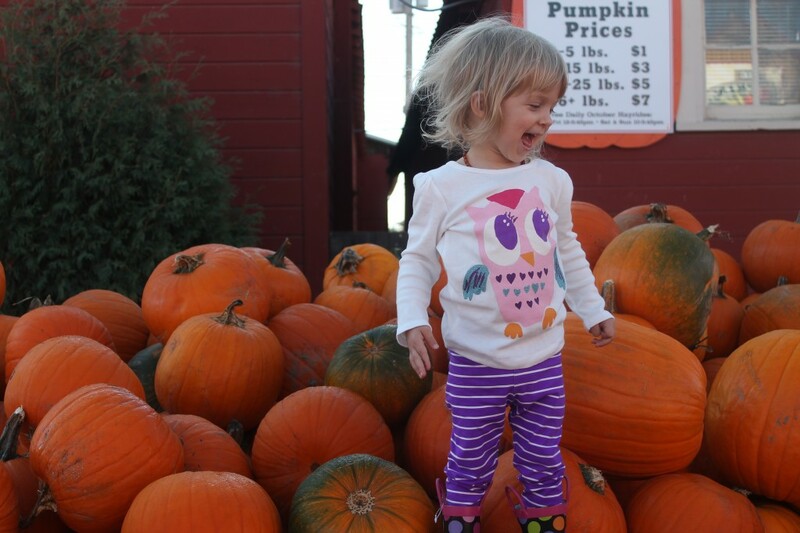 But, don’t worry, we will do a follow up post this Fall to let you know what we think of it with baby #2. The additional Lumbar support. This has been essential with a growing toddler. The optional Neck Support- Edith doesn’t need a ton of neck support but the (now rare) times she falls asleep in the carrier it is a great feature and I’m sure it will be even more essential with #2. The soft fabric and the ergonomic, soft shoulder pads make this carrier super comfortable to wear. I love the hood. Just like the neck support, it is great for naps! The carrier itself is not super heavy weighing in at less than 1.5lbs. 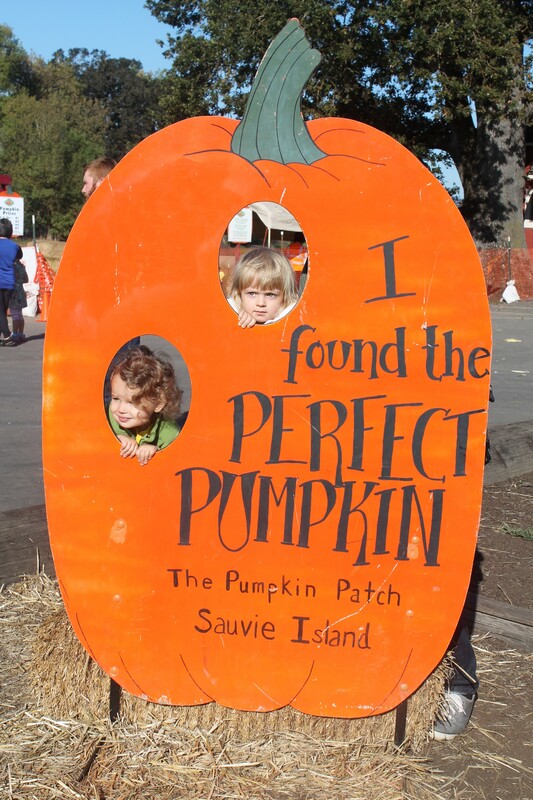 This is great when you already have a 20+lb toddler to carry around. We recently brought it on our cross-country flight and it folded up and stowed away well. Edith seems comfortable in it! Neil’s worn her for long periods of time and for long walks without protest from Edith. Also love that it is machine washable because with a toddler there is always some sort of mess. While this not an issue for us, the waist band is on the shorter side so if you are a large individual you will require a waist extender. 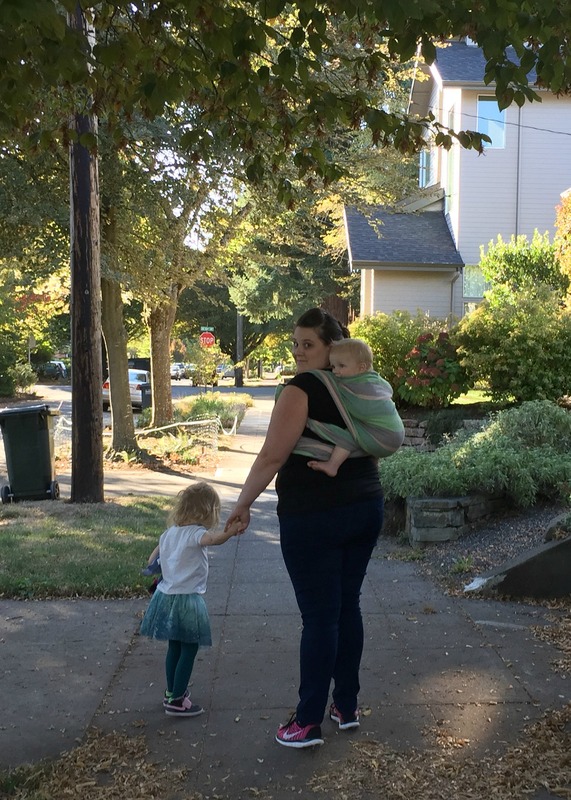 I, personally and professionally (babywearing educator), don’t support front facing in this carrier and wish that it wasn’t presented as an option. I am planning to discuss the downfalls of front facing carries in a future post. I know I said I wouldn’t be focusing on infant carry but I do wish that there was an infant insert option rather than the suggestion to use a rolled up blanket- just thinking about the upcoming arrival of #2. Would we suggest this carrier to others? YES! It is honestly a great carrier and great for those with toddlers. 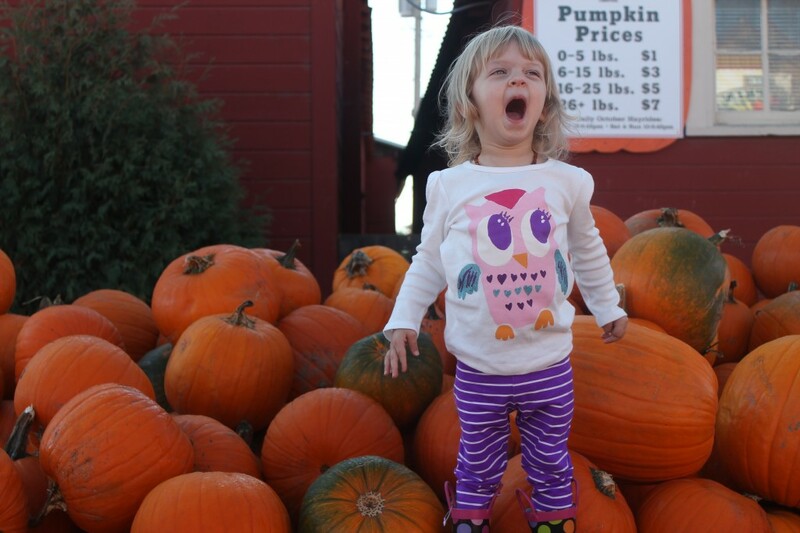 Again we’ll cover younger babies this Fall. UPDATE: I did end up wearing Edith on my front in the líllébaby in the airport on our way to Vermont. 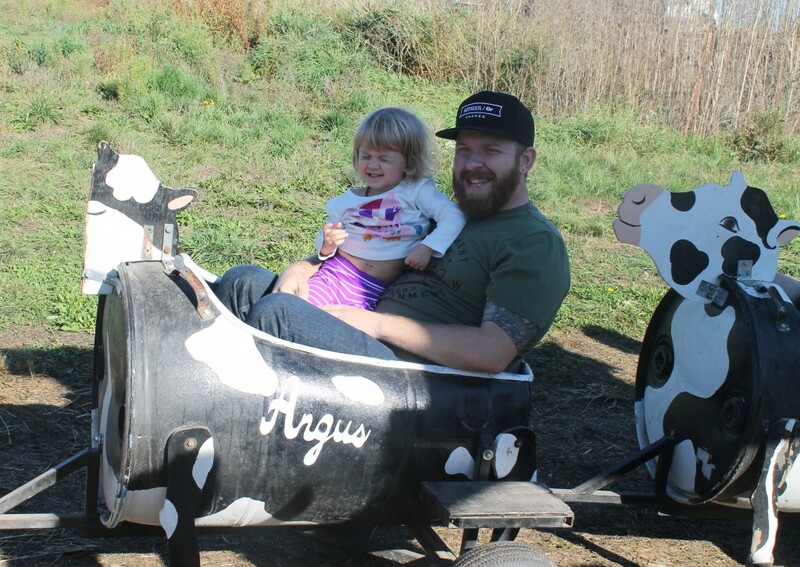 While it wasn’t the most comfortable since my growing baby belly got in the way it was possible! Like most couples when we found out we were expecting we started researching everything that we might “need” for our babies arrival. We decided right away that we were going to wear our baby not push him or her around in a stroller (with the exception of the BOB for going on runs). Well here we are with a 15 month old and 15+ carriers and we wear Edith everyday. So why do we love babywearing? 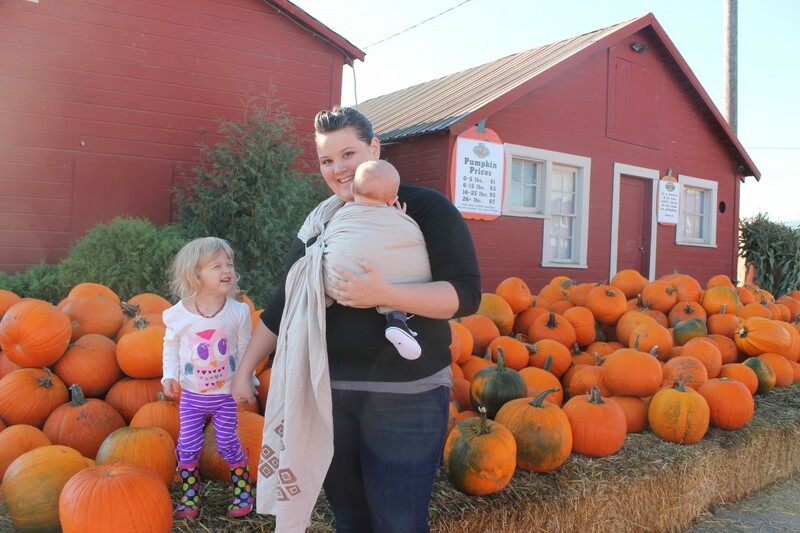 Babywearing has helped us to be more confident parents. By wearing Edith we are able to meet her needs more easily and quickly which has helped us become more confident in our abilities. It also has helped us to develop a strong bond with Edith which in turn makes us more confident in our abilities. 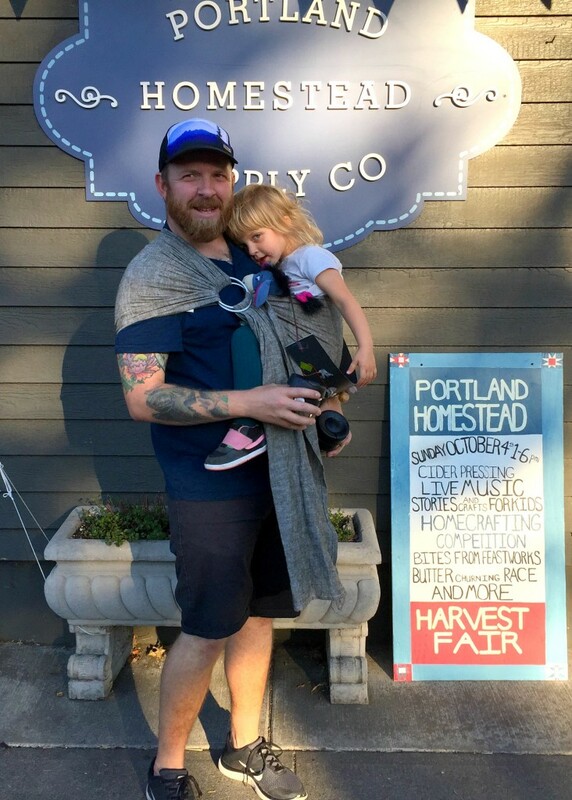 Babywearing allows us to do (most) anything. 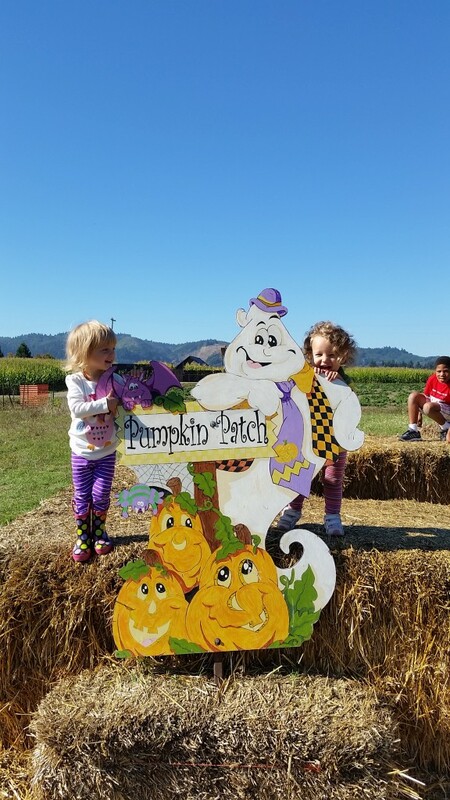 Since Edith was a newborn we have been able to get out of the house and to do so many things such as dinners out, art hops, wine tastings, shopping, hiking and so much more. We are able to take Edith with us anywhere and she can nurse or sleep in the carrier or watch the world around her while being close and secure to us. 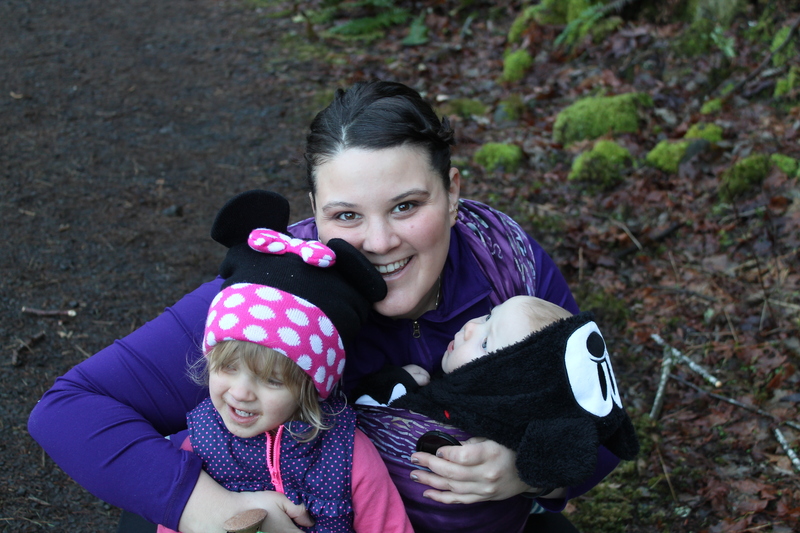 Babywearing makes us stronger. One thing that we didn’t even think about when we decided to babywear was how much strength and energy it takes to babywear. 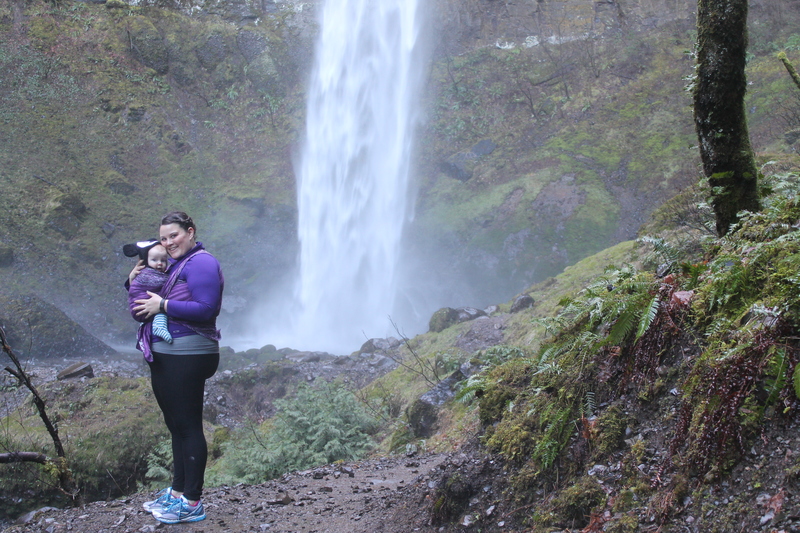 Babywearing makes us physically stronger; I mean what’s better than getting a workout in just going for a 2 mile walk with an 18lb baby on your chest? 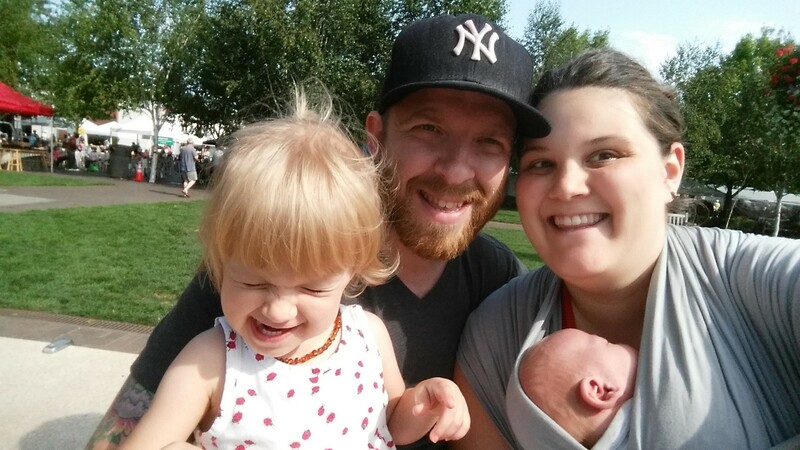 Babywearing saved us in the first three months. 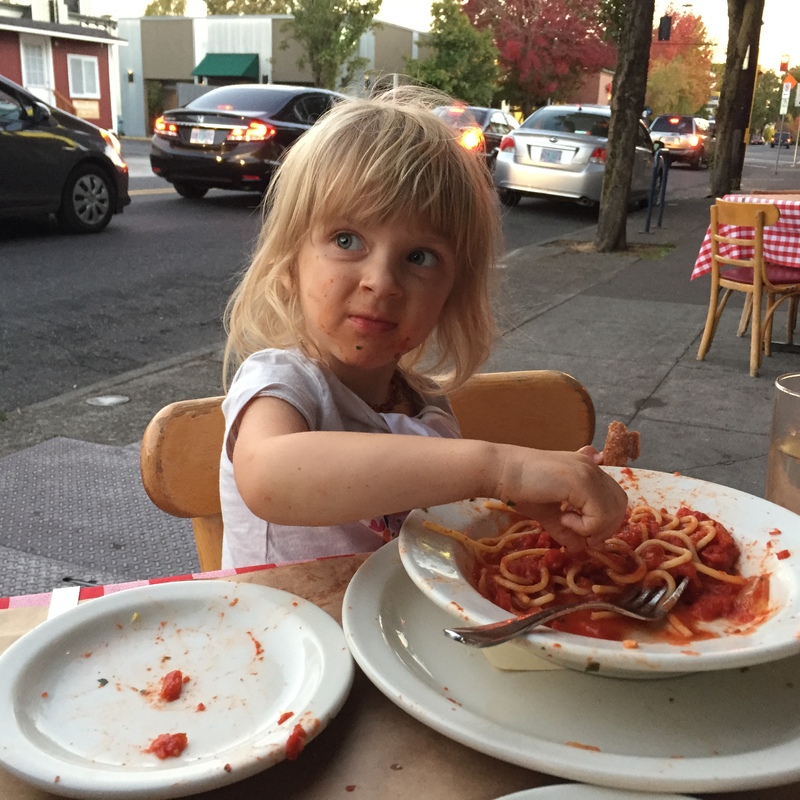 Edith had terrible digestion issues every single night from about 2 weeks to 3 months. We spent night after night bouncing her on the exercise ball while wearing her in a wrap. The wrap saved our back from having to just hold her in our arms and it kept her nice and close and in an upright position (ideal for good digestion). 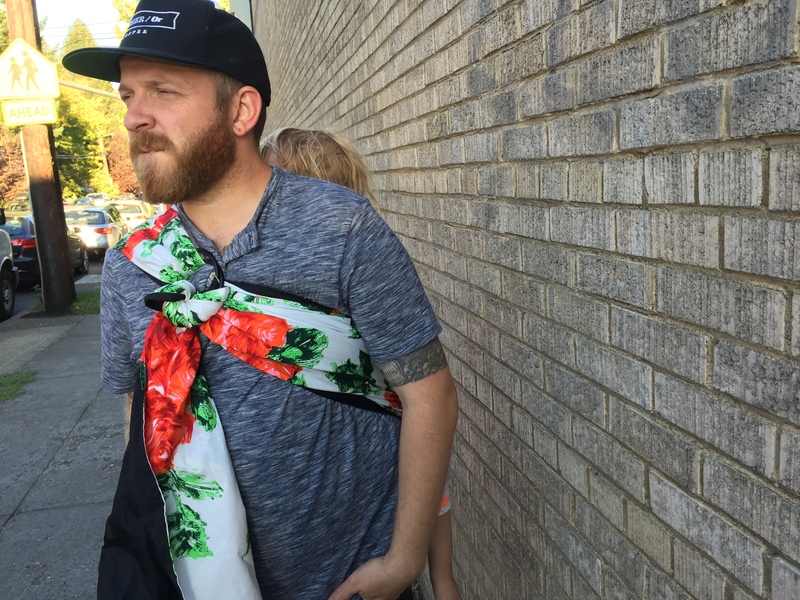 Babywearing makes us a stronger couple. 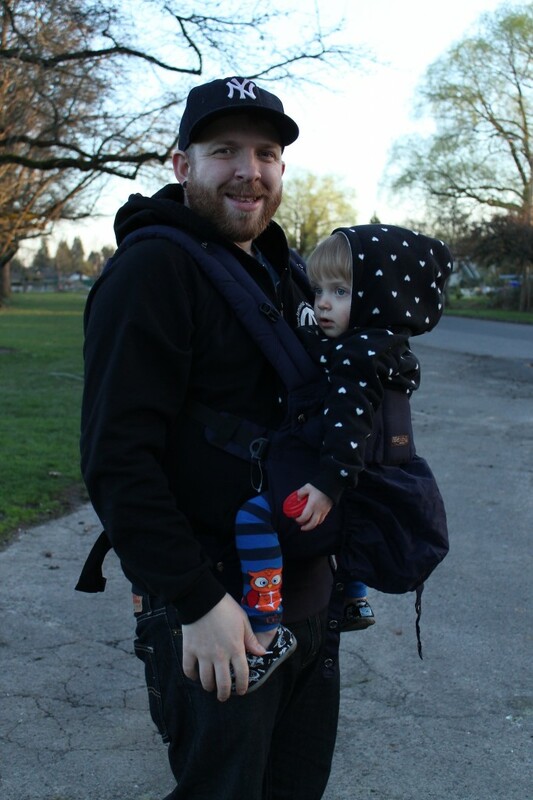 Because babywearing allows us to be active we are able to continue to connect as a couple. 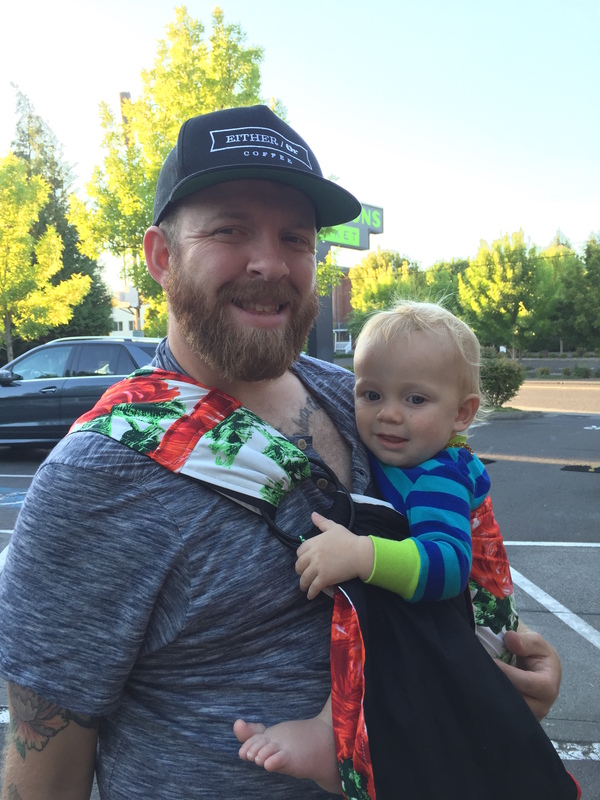 As any new parent knows a new baby can put a lot of strain on a relationship but babywearing can help, it really can. 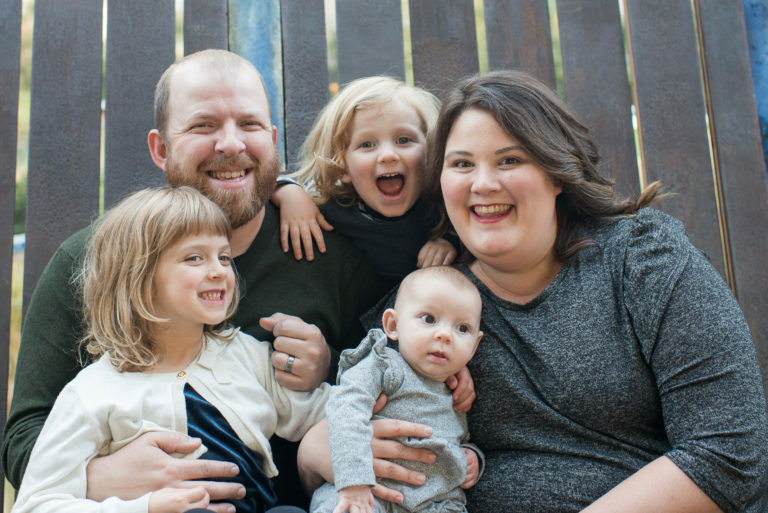 We have been able to get out and do things together that we wouldn’t have been able to do with a stroller or having to just carry Edith in our arms or her carseat. 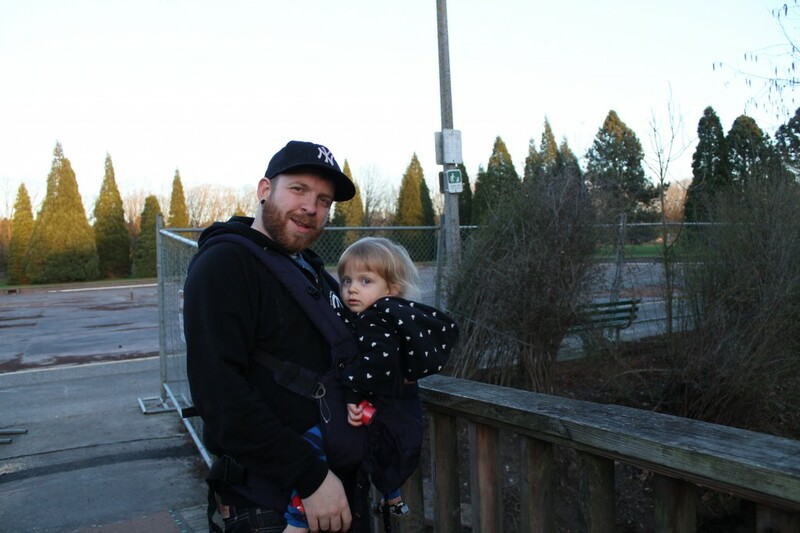 When we go out for walks we are able to keep Edith close in the carrier while still being able to hold hands and stay connected as a couple. Honestly, this list could keep going on and on because the benefits of babywearing are incredible. 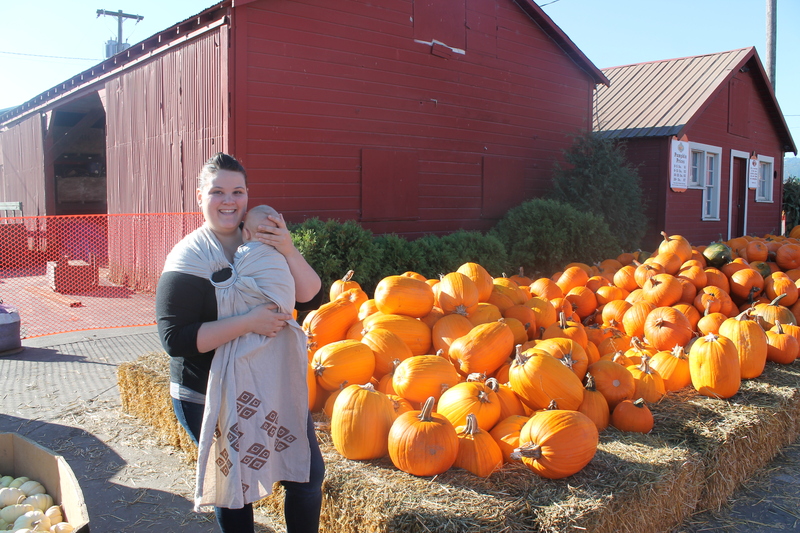 We have fallen in love with it so much that we are hoping to start a baby carrier lending library in early 2014 and Lindsay is working to complete her babywearing educator certification. 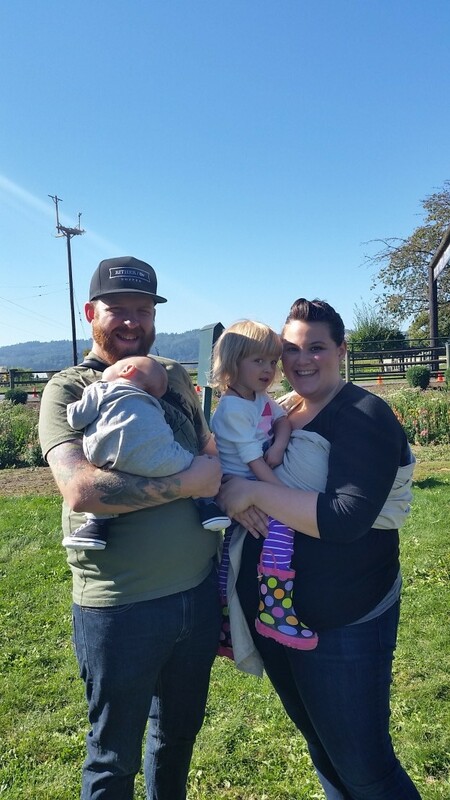 You could say we are a little babywearing crazy over here! Q. Why do you wear you baby?